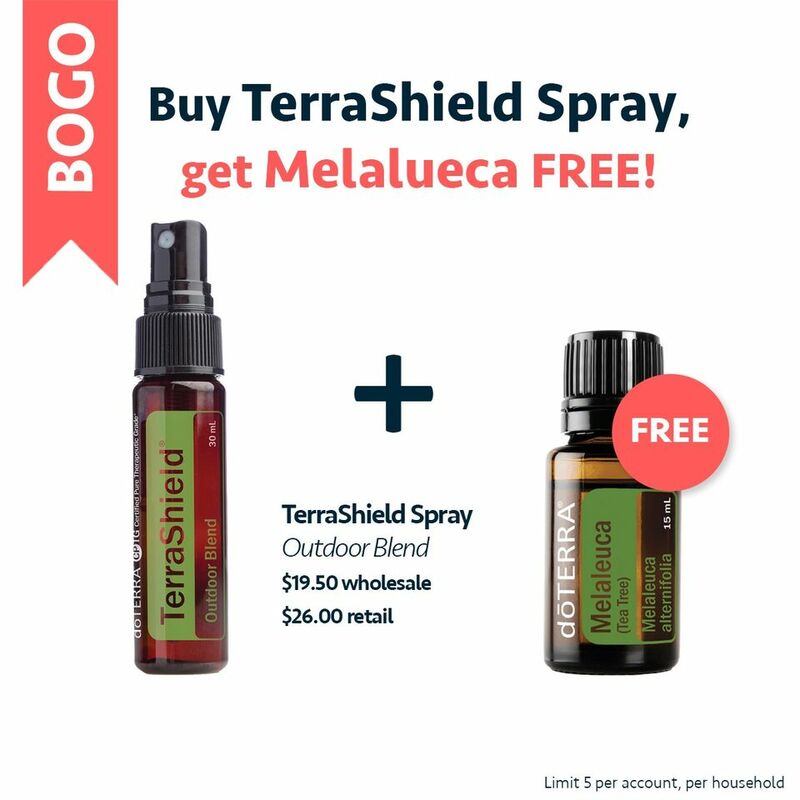 When you go to place your order, just add TerraShield Spray and Melaleuca will be automatically added when you proceed to checkout! You can order up to 5 sets to really stock up on these summer must haves! **I was struggling with a stubborn pathogen on my toe, and it was to the point that I would need to begin a powerful antibiotic that would require me to get blood work every week to check that my body was ok. Obviously I didn’t want to do this, and decided to try melaleuca every day on the nail to see what would happen. Within 2 weeks the unwanted pathogen started to clear, and before I knew it, it was gone! My doctor was amazed! ** Chemotherapy treatment caused painful sores inside my 9 year old’s mouth. Swishing a drop of melaleuca mixed with 1 teaspoon of FCO brought relief. ** I use a toner with 1/4 cup water and 1/4 cup ACV with 10 drops melaleuca to help control occasional breakouts. ** TerraShield has been by far the ONLY natural bug spray that works!